PS Vita version finally out in the west. The PS Vita version of Adventures of Mana is now available via the PlayStation Store in Europe. We would guess that a North American release is scheduled for release tomorrow, June 28. We have contacted Square Enix and are awaiting a response. Adventures of Mana first launched in English for iOS and Android in February. A remake of Final Fantasy Adventure, Adventures of Mana is an action RPG that follows the story of a young hero and heroine as they attempt to stop the Dark Lord of Glaive from destroying the Tree of Mana. 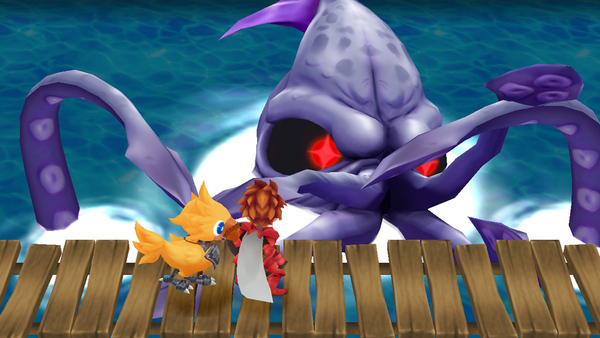 Compared to the original, the remake offers updated graphics and controls, and a rearranged soundtrack from original composer Kenji Ito.